Once I started this project, the OCD kicked in and I knew i was going to finish. It was just a matter of how quickly I could finish. However, I kept finding myself wondering: "Why am I doing this?" 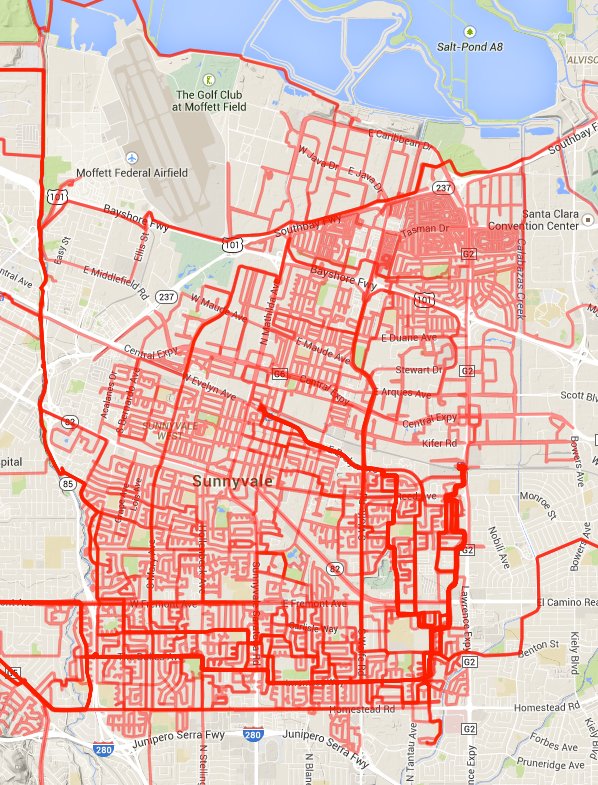 I think the initial seed was hearing about my co-worker Jen's walking every street in Berkeley, CA project. Impressive, but not for me. Some time later, Richard of Cyclelicious fame, posted about his plan to ride every road in Santa Cruz. Interesting, but no thanks. Then I saw Bret Lobree's Ride All of San Francisco project. Full-on crazy, no way I'm doing that. Fast forward a few months, and I'm looking to do an easy, flat, recovery ride near home. That was the day I was hooked. Initially, my plan was to just chip away at the goal starting by varying my bike commute across town. I picked up roads along my usual routes to and from work. The parts of Sunnyvale farther North and East took some dedicated rides. My rules were that I would ride any road I legally could, plus any bike paths. I would skip townhouses, apartment complexes, driveways, and parking lots. My rule of thumb was if the street name ended in "Terrace," I would skip it. Initially I was ignoring trailer parks as well, but somewhere along the line, trailer parks became fair game. 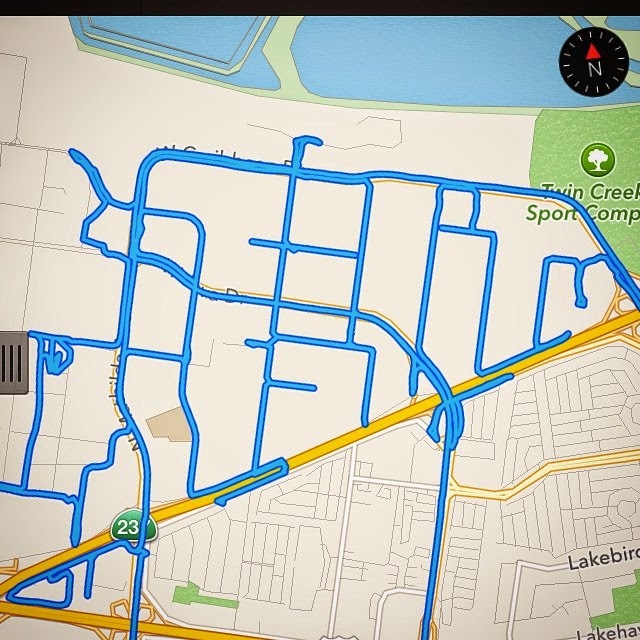 The only roads that I know I missed are behind the locked (and guarded) gates of Lockheed Martin in North Sunnyvale. So unless someone can get me a visitor's pass to bike around the Lockheed campus, that part of the map will stay dark. From my years of riding in the area, I'm already close to completing Los Altos Hills (see my Strava Heatmap) so I might do that next. Thanks to Jonathan O'Keeffe for his excellent multiple ride mapping utility.